Throughout the holiday season and into the new year, we give and receive well wishes for health, happiness, and prosperity with the utmost sincerity. Some will even articulate with the common phrase “and in that order.” I tend to believe that the three are strongly connected and that reaching a higher ground in any one area can raise our optimism so profoundly that we can experience an uplift in other areas, as well. So it seems quite right to place prosperity at the top of our wish list, if that’s where it needs to be. And for many of us who are still recovering from our holiday spending, this might be a good time to do just that. Making that choice will put your intention out to the universe, but why stop there? A crystal grid can amplify your intention with energy that directly resonates with prosperity and attracts like energy in return. Each crystal has its own unique energy signature. When arranged in a geometric pattern, a sacred, harmonic relationship is achieved, and the crystals will work together towards a common goal. With all forms of energy work, intention is everything, and perspective matters — “prosperity” and “abundance” can mean different things to each of us. For the sake of simplicity, let’s think of prosperity in the context of wealth and financial well-being, and use that as our intention for the grid. Sacred geometry is a school of thought which holds that every aspect of the natural world, including our human existence, is designed by Divine Intelligence using geometric shapes and patterns. This natural phenomenon can be used to guide the flow of energy within your grid by creating a very precise pattern of “ley lines” for the energy to follow. Think of it as a roadmap, and imagine that each crystal on the grid is a place of interest. The pattern acts as a natural GPS system that helps energy travel between all the crystals by providing the most direct route. There are many grid patterns to choose from, each with its own purpose. 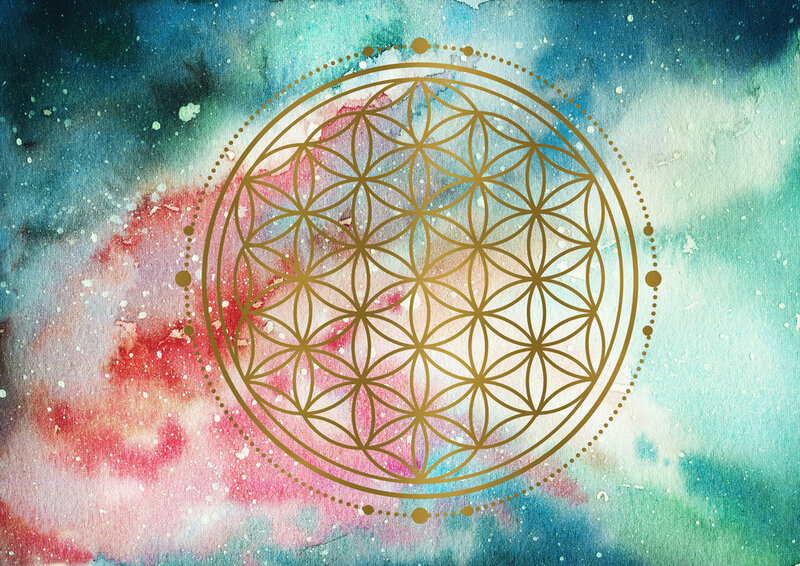 The most familiar one is the Flower of Life (Exhibit A), which holds ancient spiritual value. Embodied within it is the Seed of Life (Exhibit B). I prefer the Seed of Life for prosperity work because it contains exactly seven circles, and the number seven is associated with good luck. It’s also a symbol of infinite possibilities, creation, and life itself, which makes it ideal for creating something from nothing (think “rags to riches”), or breathing new life into something that may have stopped growing, such as a bank account. As you continue to experiment with grids, I encourage you to study sacred geometry in greater depth, but for now, let’s use the Seed of Life for our grid. Printable versions can easily be found online, and if you’d like to infuse your grid with some additional color energy, you can print it on colored paper. Using a minimum of three different crystals or stones is recommended, but feel free to use more or less as your intuition guides you. The three stones have a distinct purpose. A focus stone in the center draws the energy in while concentrating on your intention, amplifies it, and sends it to all the other crystals in the grid. The direction that the energy flows will follow the ley lines in the grid pattern. Only one is needed, and citrine is an ideal choice. The surrounding way stones receive the energy from the center and further enhance it with their own unique vibration. It’s not an exact science, but color rays are believed to be a key contributor. Since green is associated with wealth, abundance, and growth, green crystals make excellent way stones. For balance, an outer circle with an equal number of desire stones will fine tune the energy, bringing it to the ideal state for manifesting the desired result. Any crystal that you might ordinarily wear or use by itself to achieve a particular goal is a good choice, regardless of color. Should you decide to embellish your grid with additional crystals, it’s not necessary to have six of everything. But to maintain equilibrium, I do recommend working with numbers that “fit” mathematically, such as increments of three. They should also be chosen based on what they can bring to the grid to help further your intention by their own merit. For example, if you’re aware of something in particular that’s blocking you from prosperity, you might add an extra set of crystals that can remedy this. Using quartz points along the ley lines of the grid is also a great way to accelerate and direct the energy flow. Suggestions for crystals that promote prosperity can be found on the next page. This is by no means a complete list, but they’re fairly common and easy to find. Crazy Wisdom has an excellent selection. Before you move on, you’ll need a few more things: a wand, smudge, and one or more candles. The wand will be used to activate the grid by channeling and directing the energy. It can be any wand of your choosing. A large clear quartz or selenite point will work nicely and fit comfortably in your hand. As an alternative, a pendulum or athame are also good options. Once you’ve collected your elements together, perform your own blessing over the area, the crystals, and yourself. Smudging with sage will cleanse any stagnant or negative energy from all, including yourself. If the smoke bothers you, use a hydrosol spray instead. If the aroma of sage doesn’t appeal to you, choose something else with cleansing or purifying properties. The important thing is that you perform this step; how you perform it is entirely up to you. It’s equally important to consecrate with intent. As you’re smudging, remain focused on your desire for prosperity, and ask for Divine guidance and protection. In your own way, invoke the aid of your angels or spirit guides, and ask your crystals to awaken their powers to serve your highest good. Now you’re ready to create your grid. Remember to stay focused on your intent as you set each crystal in place. Here again, you can reflect on the specific contribution that you would like each crystal to make. Place the focus stone in the middle first, followed by the way stones, and then the desire stones. By working outward from the center, your grid is physically growing as you create it — and so is the energy. If you have any additional crystals, save them for last. Once the grid is complete, you’re ready to activate it. With your wand in hand, start by bringing in the white light of universal love and protection. Visualize it surrounding you and your grid. Direct your full attention on the focus stone in the center, and imagine a brilliant white light radiating from it like a starburst. Once you can see this in your mind’s eye, use your wand to direct the light towards all the other crystals by drawing ley lines between all of them. In other words, use your wand to connect all the dots, while visualizing beams of light bonding the crystals together until every one of them is connected to all the others. Infuse the grid with your intent one last time. Take in a long, deep breath, and as you exhale slowly, “will” your own energy into the grid and send your intent for prosperity out into the universe. Do this three times, and give thanks. Finally, place your candle(s) anywhere near the grid, and light them. Illuminating your grid is a nice ceremonial touch that symbolizes the white light of universal love and protection. There’s no set amount of time for burning the candles, but the longer you keep the grid lighted, the better. So when you put the candles out, you can switch to battery operated candles or a small lamp. The energy of the grid will be sustained for as long as it remains undisturbed, but the first three days are the strongest. You can continue to add more energy to the grid by meditating, white lighting, re-activating, or adding more crystals. But it will always be strongest immediately after the first activation. There are many ways to manifest prosperity. Gridding with crystals is one of the easiest to learn and is fairly inexpensive. So I hope you’ll consider giving it a try. Whether you long for a life of luxury, or you believe that life itself is the greatest luxury one can have, all of us can benefit from abundance in our lives. May prosperity be one of many blessings you enjoy in the year to come. 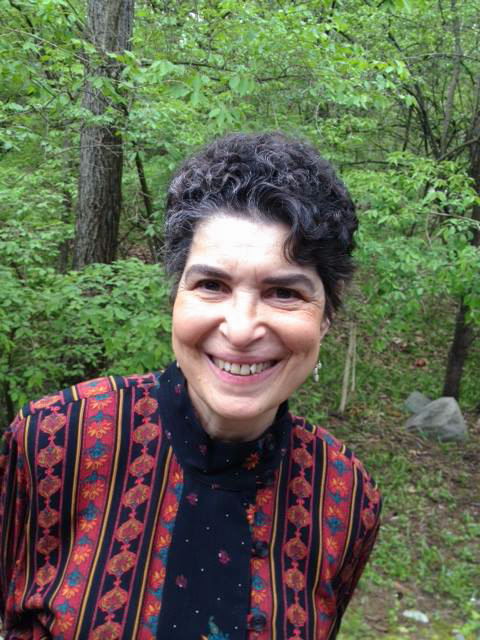 Heidi is a psychic medium, clinical hypnotherapist, certified astrologer, and sacred dance choreographer. She's also an avid student and practitioner of metaphysics, with a passion for crystals, and a strong belief in personal empowerment. For questions or more information, contact Heidi@HolisticHypnotics.com or visit www.CrystalMoonParanormal.com or www.HolisticHypnotics.com.